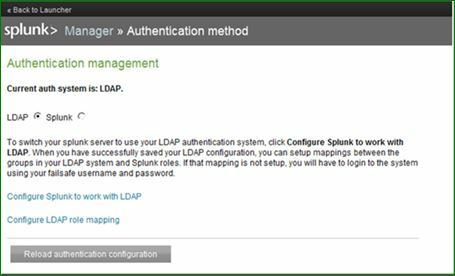 step by step ldap authentication configuration in splunk - "This website is not affiliated with Splunk, Inc. and is not an authorized seller of Splunk products or services." Managing users and their access to splunk collected logs is very important aspect of access control to avoid unauthorized access to sensitive data/logs. You can add users to splunk by using following three methods. Most commonly used approach is LDAP or commonly called AD authentication. As in any Enterprise active directory is used for user management. 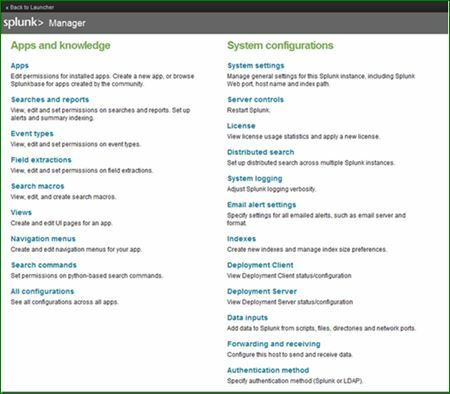 We can use existing AD configuration to add and manage/update users in splunk. Below we will see step by step AD authentication configuration in splunk. 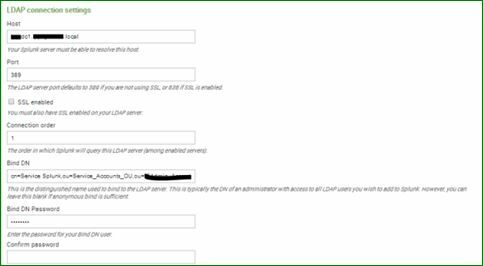 2. created records in DNS for ldap.example.com. 3. An Enterprise CA in our Active Directory, and all our domain controllers have certificates. 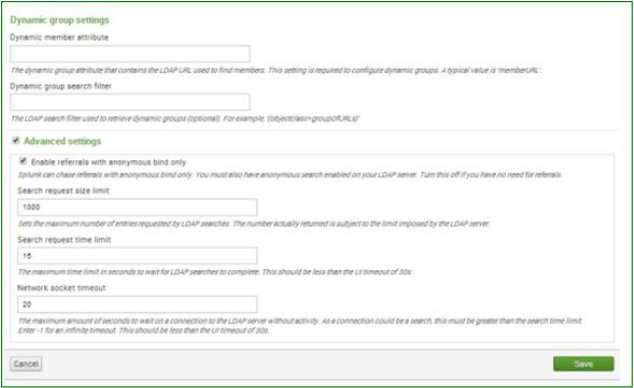 a. LDAP connection settings – based on connection settings Splunk will talk to AD. LDAP strategy name: just a name. You can have multiple LDAP strategies such as – (i)strategy one for ready only access through an AD Group mapping to Splunk roles (user & power user), (ii)strategy two for full access through another AD Group mapping to other Splunk roles (Admin, Splunk-system-role) or similar. Default Splunk roles are – admin, can_delete, power, splunk-system-role, user. This is distinguished name of your Splunk account that you created in AD. It is recommended you should not use default AD administrator account or your own AD login here. You should create a dedicate account for Splunk – no AD administrative privilege required on this account. This is the AD group that been created to grant access in Splunk. e. Advanced settings – default is ok; however you can increase search request size limit. 1. Click on the “Save”. If entered parameters are not correct – you won’t be able to save. 2. Now you should be able to see your LDAP strategy. Make sure it is enabled. 3. To see your AD group in Splunk, click on “Map groups”. - Also you should be able to see AD users at “Settings > Access controls >Users”. 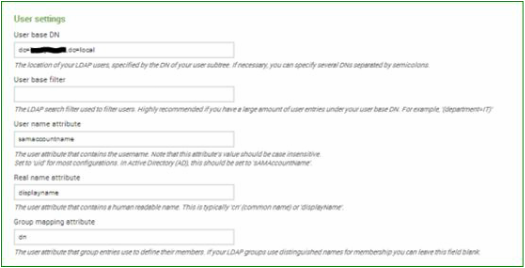 Make sure AD users are member of the Splunk group that been created on AD. - That’s all Your AD authentication is ready now and users from AD whose group mapped in splunk can login to splunk.